For a couple of years now we have been hosting a little party on Christmas Eve. This year we decided to carry on the 'tradition' if you can call it that. I think it's something nice for us all to do together before the big day. The girls were so excited and the excitement for Christmas day kept building up and up. 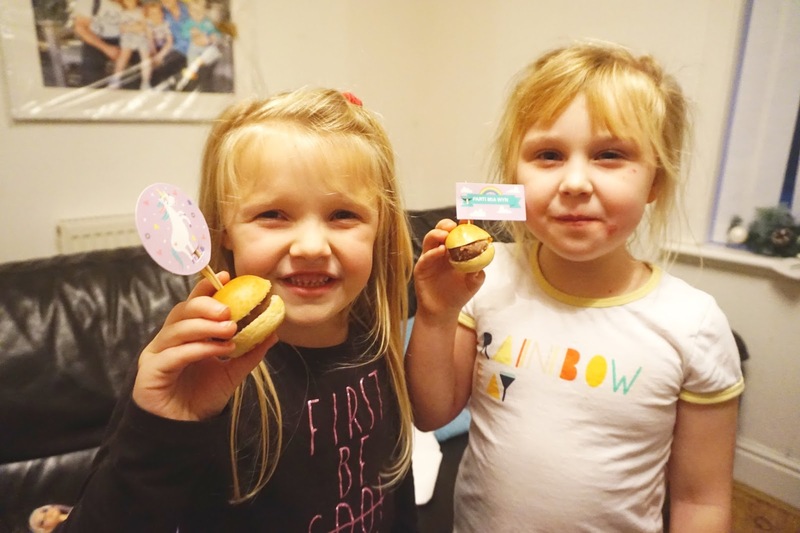 To add to that excitement we cooked some mini burgers and a pizza for us all to share, adding some crisps and little snacks too. 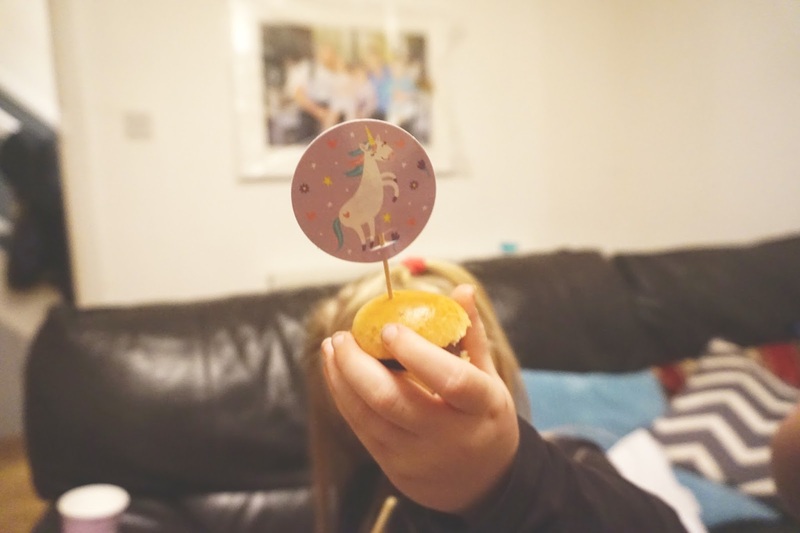 To help add that special touch we added some toppers from Personalised Parties. 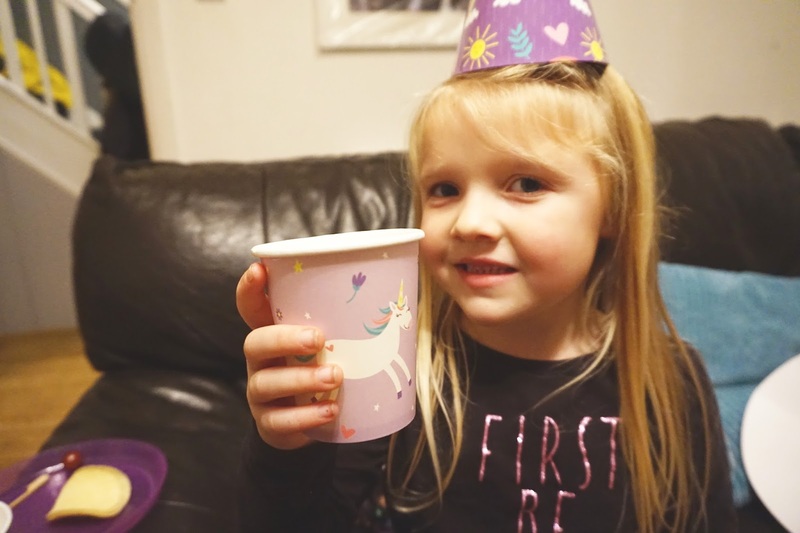 We received a personalised party pack from Personalised Parties a couple of weeks ago. Initially, it was supposed to be used for Mia's birthday, but silly me forgot to take the pack with me to Bluestone. However, I thought I could use them for our Christmas Eve party instead. As it was meant to be for Mia's birthday, they were personalised with her name. 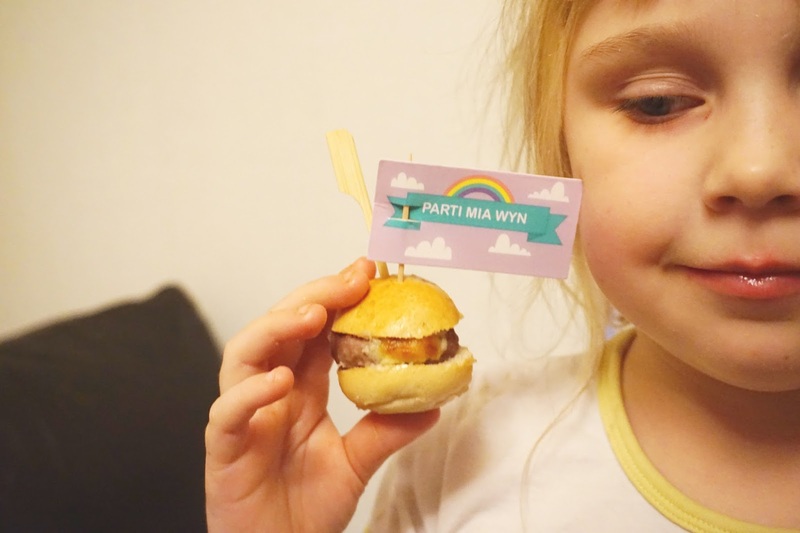 I got them printed in welsh, so they said 'Parti Mia Wyn', which means 'Mia Wyn's Party'. 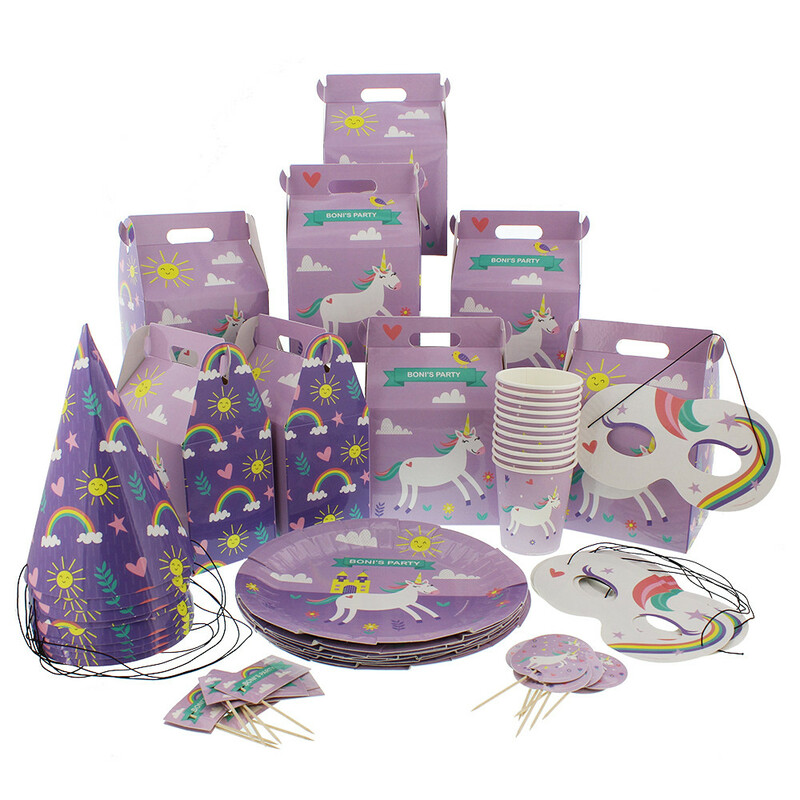 - They also supply the wooden cocktail sticks to use with the food flags, as well as the strings for the hats and masks. You can view more of their products over on their website here.